According to the report of "Human Rights and Democracy in Iran," the prosecutor of the Special Clerical who is named Movahedi went to the Special Clerical ward of Evin Prison , then he threatened and harassed Mr.Boroujerdi. On the first Tuesday of Meher ( in persian), Mohammad Movahedi, the prosecutor of the Special Clerical ,went to the Special Clerical ward, and brought along the new book of Mr.Boroujerdi for which he has been collecting and teaching from inside prison. Mr Movahedi stated that the convictions and views of Mr. Boroujerdi are heretical. Particularly, to the interpretation and comments of leadership. Mr Khamenei was opposed. Movahedi said that for Mr. Boroujerdi, the writer of this book and all those who had proceeded to publish and disseminate this book will be sentenced for apostasy and executed. 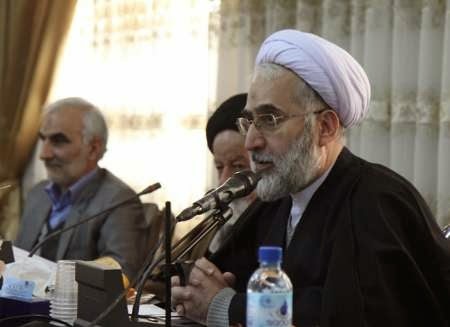 In this bickering, Mr Kazemeini Boroujerdi said that all his comments are based on religious documentation and he was willing to have an international polemical disputation with Ulama. This is while Iranian President Hassan Rouhani arrived in New York to attend the 69th annual session of the United Nations General Assembly. Mr. Hassan Rohani is in the UN summit in New York to justify the faces of philanthropy of the Islamic Republic. The Human Rights and Democracy in Iran strongly condemns the threats and harassment to the cleric Ayatollah Boroujerdi and apply from the High Commissioner for Human Rights and other international judicial establishments to take urgent action for the release of immediately and unconditionally all political prisoners in Iran.